Given the Red Bull Racing Australia drivers' record at Symmons Plains, it was unexpected to see both Craig Lowndes and Jamie Whincup out of the top three in Sunday’s races. Priorto the weekend, Lowndes and Whicup had combined to have won nineof the last races at Symmons Plains since 2007. 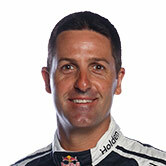 Despites the finshes, Whincup is stillleading the championship, but he didn’t get a podium result in the two racesyesterday – though he did manage fourth in race four. Similarly Lowndes' results weren't his best, finishing tenth and eleventh yesterday and even worse, a lapdown on Saturday. Whincupadmitted post-race there were issues with his car and felt the team still hadwork to do. 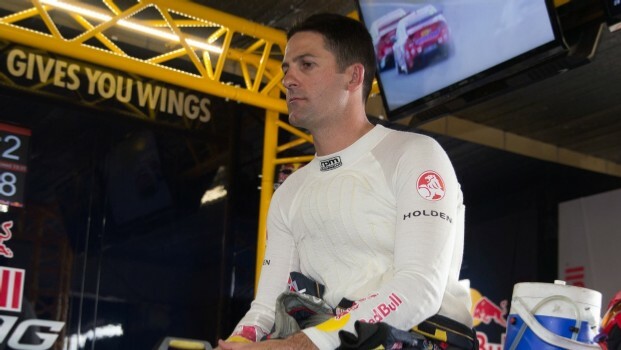 “We did have set-up issues – I’ve said that fromthe start of the season – and that will take a while to get right, but overallI think we improved since Adelaide and the grand prix,” Whincup said. “We were a fairbit behind at the GP and were close to the podium but that’s mostly becauseother guys were falling off. Now, we’re genuinely fourth or fifth in pace,which is encouraging, but we’ve got some work to get the cars right. “We’ve just gotto keep doing our homework and we’ll get there. We’re not panicking. It’s a newcar and we’re getting there. Lowndes called it the worstweekend for quite sometime; but always the optimist, he believed there weresome gains made in the fifth race. “We burned thesoft tyres out really badly in Sunday’s first race and the second race we madewholesale changes to the car and it was a huge step forward,” he said. “It looked afterthe rear much better and as the race went on our car started to get stronger,just before the safety car, so we achieved a lot technically. 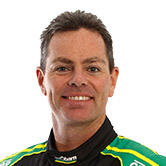 “As a raceweekend, well, it’s the toughest one I can remember in a long time.